Romania’s justice minister Tudorel Toder (photo left) rejected all four candidates for the general prosecutor position, including incumbent Augustin Lazar (photo right), after interviewing them on Wednesday, April 10. The Justice Ministry will launch a new selection procedure as none of the four candidates who participated in the first one was considered suitable for the job, according to sources within the ministry quoted by Mediafax. Current general prosecutor Augustin Lazar, whose mandate expires at the end of this month, competed for another one. However, it was unlikely that the justice minister would nominate him for a new mandate given his criticism of the ruling coalition’s justice reform in the last two years and the recent scandal related to his activity as head of the parole board at the Aiud prison, where political detainees were held before 1989. 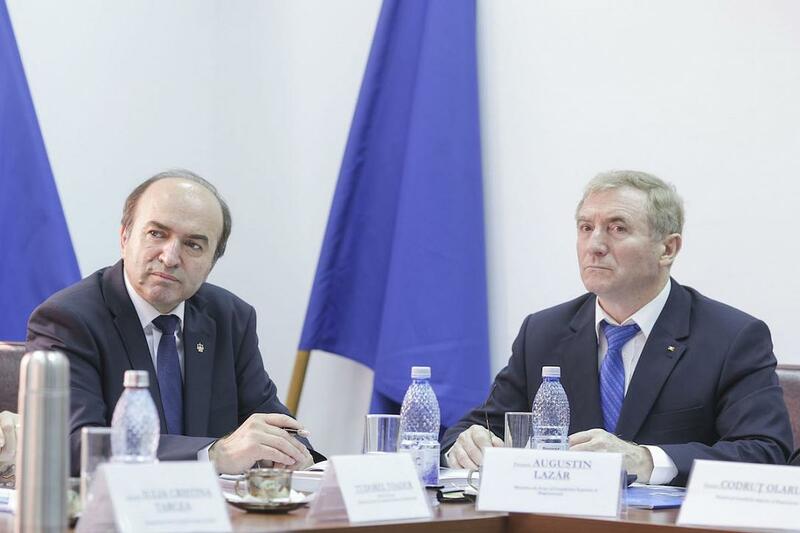 Moreover, justice minister Tudorel Toader asked for Lazar’s dismissal last year, but president Klaus Iohannis refused the request. The other three candidates for the general prosecutor position were the former chief prosecutor of the Directorate for Combatting Organized Crime and Terrorism (DIICOT), Danile Horodniceanu, DIICOT prosecutor Marian Drilea, and Gabriela Scutea, the former deputy of Laura Codruta Kovesi at the National Anticorruption Directorate (DNA). Notably, Horodniceanu failed to get the justice minister’s nomination for a new mandate as head of DIICOT last year, after criticizing some of the changes to the criminal codes promoted by the current ruling coalition. Meanwhile, Gabriela Scutea was one of the Romanian magistrates who joined the silent protest in Brussels against the new changes to the justice laws and criminal codes allegedly prepared by the ruling party. She was asked about her participation to this protest during the interview with the justice minister on Wednesday, according to Mediafax. Romania’s general prosecutor coordinates all prosecution units in Romania, with the new section for investigating magistrates being the only notable exception. The general prosecutor’s mandate is three years. The justice minister nominates the candidate for this position, the Superior Magistracy Council (CSM) issues a consultative opinion and the president signs the appointment decree.